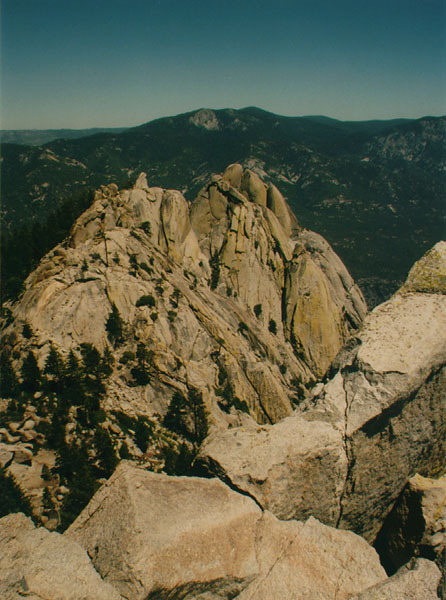 The Needles are a twin out-cropping of granite that has a nearly sheer 2,500 foot drop on three sides, and a steep approach from the fourth. 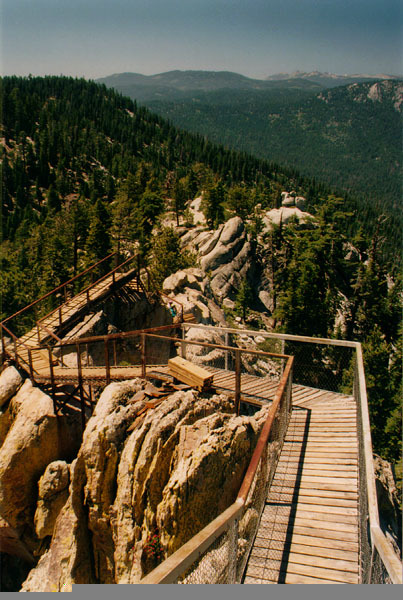 The peaks are a serious mecca for mountain climbers. The approach from about a mile away. A metal catwalk makes the last hundred yards quite a bit easier. Wouldn't want to be on this during a storm. 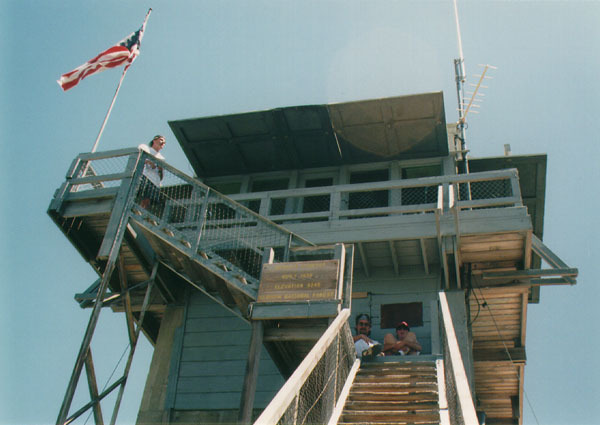 A fire tower sits at the top. A single ranger is on duty for six weeks straight, with only hikers and a cat for company. Supplies come in via helicopter. Dream Job! "The Needles is one of the most awe inspiring, intimidating and excitingly gratifying climbing experiences one can have. Perfect granite, perfect cracks, intricate face climbs, spectacular views and excellent weather are the daily antre of the Summer climbing feast laid before the climbing connoisseur. 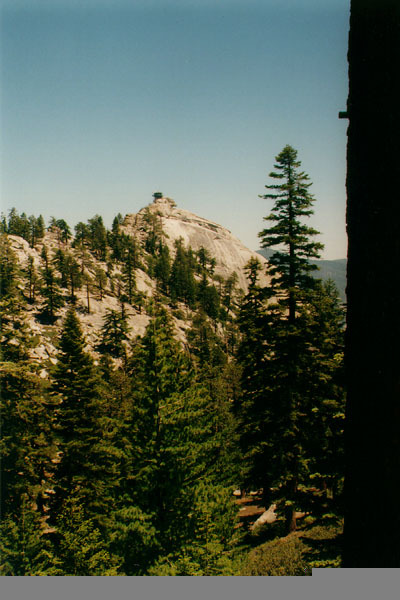 The Needles is the creme de la creme of western climbing and is possibly only surpassed in the number of high quality routes by Tuolumne Meadows in Yosemite park."